By the end of this course, learners will master the computational techniques to solve problems, apply logical and Critical Thinking to compliment the Problem Solving Process. Participants could master knowing the concept and tools of being creative in their problem solving by attending Be Kiasu, Be Creative and In Problem Solving.  What is Pattern recognition?  What is Algorithm thinking? This course is catered for those who want to understand how to perform problem solving skills using computational thinking. 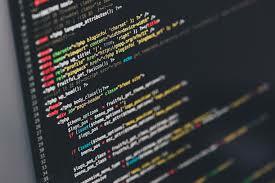 By using computer coding in problem solving techniques, it provides a clear and simple steps to resolved problems. The process of computational thinking also involves logical thinking and critical thinking.